Finding a Financial Professional | Duncan Financial Management, Inc.
Our mission at DFM is to be the total advisor for the families we work with. We strive not only to provide skillful investment advice, but also provide expert guidance in income planning, estate planning, health care planning and legacy planning. The team behind Duncan Financial Management, Inc. is made up of qualified financial professionals who are passionate about helping individuals and families achieve their ideal retirements. Prior to founding Duncan Financial Management, Inc. in 2005, Jeff realized Americans were not being served properly when it came to financial planning. He worked his way through the obstacles that come with starting and maintaining a business in a heavily regulated industry, and today, DFM has offices in Fenton and St. Charles, Missouri, and West Palm Beach, Florida. Jeff is responsible for the overall direction of the firm. 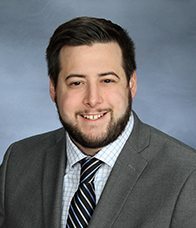 He is insurance licensed and primarily works with individuals who are in or approaching retirement and have a desire for in-depth financial planning. He is dedicated to assisting clients with long-term financial plans, so they can live with confidence and freedom. Jeff also hosts “Your Money with Jeff Duncan,” his long-running TV show. 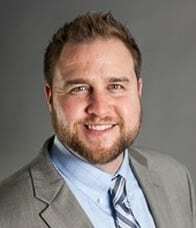 He attended Mehlville High School in St. Louis and obtained a Bachelor of Finance degree and a Master of International Business degree from St. Louis University before attending Webster University, where he obtained a Master of Business Administration. Jeff enjoys spending time at his second home in the Sunshine State. To check the professional background of this financial advisor, please click here. Erica joined DFM in 2009 and is responsible for assisting Jeff in getting ready for his client appointments. In addition, she takes on many back-office tasks and provides guidance to our employees in human resources. 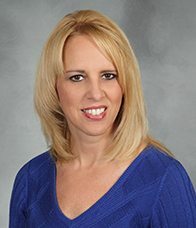 Erica has over 30 years of financial services experience and prides herself on maintaining accurate client and employee records. Erica loves when the whole family gets together for dinner. She loves to cook and experiments with new recipes for her family. Stacey joins DFM and brings more than 20 years of experience in the financial services industry after working with a local independent investment advisory firm. She is excited to continue her career alongside Jeff and the team at Duncan Financial Management. Stacey is responsible for the oversight and administration of all firm-wide policies and procedures, and brings a deep understanding of what it takes to oversee a financial firm. Coupled with her significant experience and organizational skills, she is a well-respected team member who always goes the extra mile to help co-workers and clients develop solutions to accomplish their objectives. Stacey currently holds her Series 65 license. 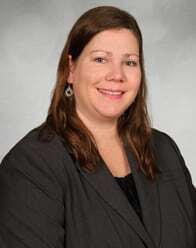 Stacey attended Missouri State University and began her career as a paralegal in 1996. She has drafted various estate planning documents, including living trusts, charitable trusts and family limited partnerships. Outside of work, she enjoys spending time with her husband, and on weekends, you will find her at her daughter’s dance competitions or her son’s baseball tournaments. Her family resides in High Ridge, Missouri. 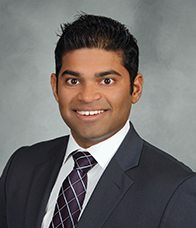 Rishi joined DFM after graduating from the University of Missouri – Columbia and currently serves as Vice President of Wealth Strategies. After starting as an intern, Rishi was quickly promoted to account manager, where he began assisting Jeff with client portfolios. In his current role, Rishi is responsible for client relationships as well as portfolio analysis and management. 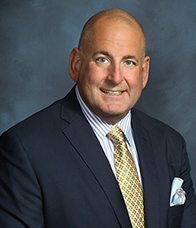 He is licensed to sell insurance and works directly with clients developing and implementing personal, financial and income plans for investors nearing or in retirement. In addition to investment management, Rishi also advises his clients on estate and tax-efficient planning strategies. He co-hosts “Your Money with Jeff Duncan” and contributes to the overall investment strategy of the organization. Outside of work, Rishi enjoys hanging out with friends and family at the golf course or Lake of the Ozarks. As an Eagle Scout, he truly enjoys the outdoors, and when he has the opportunity, you will find him with a fishing pole in one hand and the leash of his black lab, Bentley, in the other. Rishi currently resides in Brentwood, Missouri. Prior to joining DFM in 2018, Andrew developed 10 years of experience in the financial services industry. He has worked in various roles of client service and financial advising over that time. Most recently, he worked for a large St. Louis based firm where he obtained the Chartered Retirement Planning Counselor (CRPC©) designation. Andrew excels at implementing distribution strategies and helping clients to customize a financial plan while making sure to align with their individual risk tolerances. He prides himself in having in-depth conversations with clients to earn their trust while developing a true understanding of their goals and investment concerns. Andrew resides in Waterloo, IL with his wife Kelly, a high school English teacher, and his two daughters, Zoey and Winnie. There, he is an active member of the Waterloo Optimists, and he volunteers at his daughters’ school. When not running to soccer practice, tumbling, or piano lessons, Andrew enjoys playing softball, going to Cardinals and Blues games, and spending time around Waterloo or St. Charles with family and friends. Lauren joined DFM in April of 2017. She grew up in New York, and after graduating from Wake Forest University, she returned there to pursue her dream of working on Wall Street. 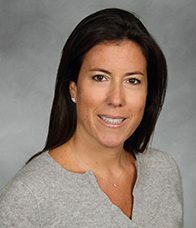 Over the course of her successful 17-year career in equities, electronic sales and trading, Lauren made frequent trips to South Florida, where her parents live year-round. Eventually, vacationing in the area wasn’t enough, and she chose to leave her home in Manhattan to pursue a new career and life in Palm Beach, where the quality of life is undeniable. 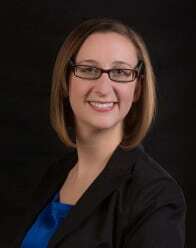 Lauren is a financial advisor with DFM in our West Palm Beach office. She is responsible for taking clients through The DFM Path from start to finish. She also has her own segment on “Your Money with Jeff Duncan,” geared toward empowering women to take control of their financial future. The “Essential Tips for Women to Retire Well” segment speaks to financially independent women who may not be comfortable going the retirement path alone. She credits her enthusiasm and work ethic to her New York roots. Lauren currently holds her Series 65 license. She also has her real estate license with Brown Harris Stevens in Palm Beach, where Lauren now enjoys an active outdoor lifestyle year-round. For more on her professional background, please click here. Anthony joined DFM in January 2018 as a Financial Planner, working closely with Rishi. He previously worked as a financial advisor for Edward Jones. Anthony is licensed to sell life insurance and is instrumental in helping construct financial plans, providing investment research and review. He is also diligent in detailed follow-ups with our clients. Anthony holds a Bachelor of Science degree and minored in Financial Services at Maryville University in St. Louis. He is also an Investment Adviser Representative for DFM. Anthony is involved with the local craft beer community in St. Louis. He produces a podcast with a friend, in which they review products and share the history of St. Louis breweries and eateries. He is also a lifelong St. Louis Blues fan, a close follower of international soccer, and enjoys spending time with his younger siblings, Grace and Matthew. For more on Anthony’s professional background, please click here. Kim has been with DFM since 2008. After college, she received her first employment opportunity in the Edward Jones’ client services area. She has over 19 years of experience in financial services, and works hard to assist clients and their needs in a timely manner. As operations manager, she assists clients with all account inquiries and transactions and encourages the staff to deliver exceptional client service. She enjoys training new staff members and finding resolutions to operational challenges. Her background and problem-solving skills make her a true leader in her role. Kim attended the University of Missouri St. Louis, currently holds her life insurance license and has passed the Series 65 exam. Outside of work, she enjoys spending time with her daughter. She enjoys hiking, biking and anything involving physical fitness and health. Her family resides in Wildwood, Missouri. For more on Kim’s professional background, please click here. 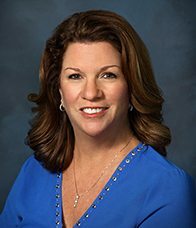 Lisa joined Duncan Financial Management, Inc. in 2016 after working 23 years in various roles for several financial firms in the St. Louis area. As client services manager, she is responsible for building and nurturing strong personal relationships with clients. Her day-to-day activities include assisting current clients with deposits and withdrawals, general service requests and making sure they know where and how to access their account information. In addition, she works with prospective clients in setting up new accounts. Her experience, attention to detail and excellent communication skills are an asset in this role. Lisa is a graduate of the University of St. Louis Missouri with a Bachelor of Science degree in Education. She enjoys spending time with friends and family, traveling and reading. Diane joined DFM in May of 2018 as an Administrative Assistant and will be one of the first friendly faces you see when you come into our office. She has been in the financial industry for 20+ years and has experience on both the brokerage side of the industry as well as the advisory side. Diane prides herself on providing great customer service. She will be taking on many of the back-office tasks and will work to assist other DFM team members to ensure a great client service experience. Diane resides in Kirkwood and has 5 daughters, so she has a very busy schedule outside of the office. When she does manage to get some free time, she loves to bake and garden. 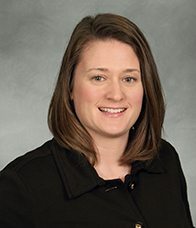 Martha Burkhardt is a Resident Attorney in the DFM office. She is an estate planning attorney and her mission is to provide affordable and compassionate legal services to families and individuals. After Martha spent time working with her immediate family to navigate their own estate planning needs, she realized that many families need help understanding their estate planning options and how they may impact the family’s future. Her goal has become to fill the gap in knowledge that nearly all families find intimidating and confusing so that they may protect their future. Estate planning, Will consultation and establishing a Living Trust are important aspects of protecting your future. With the help of a lawyer, this layer of protection can save hassle and stress during difficult emotional times. 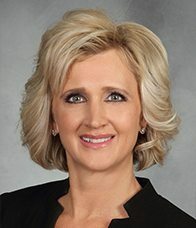 As the principal of Burkhardt Law, Martha prides herself in the fact that her clients have told her she is very “unattorney-like” in her interactions with clients – a title which she takes as a compliment.